Popular culture vector image collection with colorful square icons representing popular genres in movies, books, TV shows and pop culture. Different colors of the icon backgrounds and detailed illustrations of the genres. 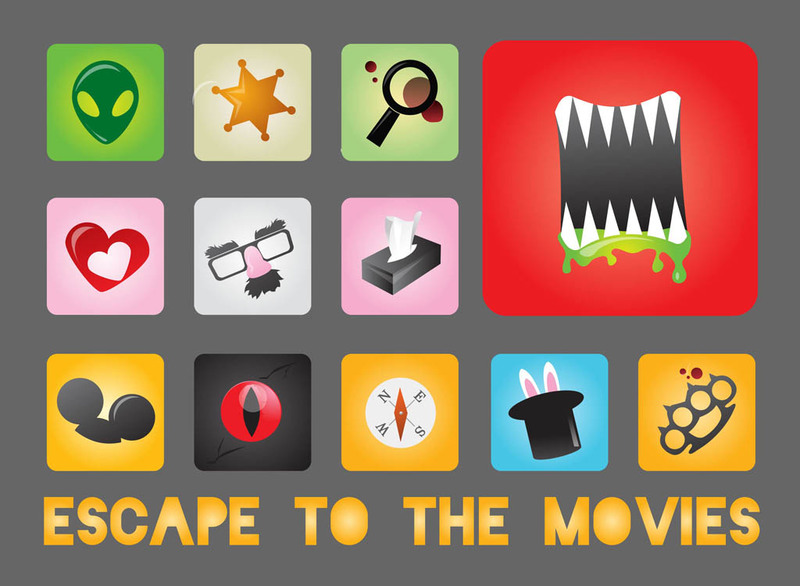 Free vector icons for western, criminal, horror, sci-fi, animation, adventure, comedy, drama and romance movies. Tags: Books, Cinema, Film Vectors, Films, Hollywood, Movies, Themes.